On today’s episode, we’ll cover a fairly new concept for spreading malware called Malvertising (a portmanteau of Malicious Advertising). 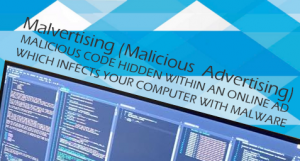 With this technique, hackers use online advertising to infect unsuspecting victims and spread malware. Join us as we introduce the topic, recap the brief history of this tradecraft, explain the various methods hackers use, and share some preventative methods to help you avoid attacks. 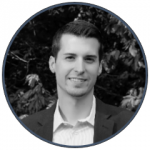 Chris Bisnett is a veteran information security researcher with more than a decade of experience in offensive and defensive cyber operations. While serving with the NSA RedTeam, he attacked government networks and systems to identify and remedy vulnerabilities. He is also a recognized Black Hat conference trainer and has taught his “Fuzzing For Vulnerabilities” course at several events around the world. Prior to founding Huntress Labs, Mr. Bisnett co-founded LegalConfirm, LLC where he led product design and development until the company was acquired in 2014. For the past 10 years, Kyle Hanslovan has supported defensive and offensive cyber operations in the U.S. Intelligence Community and currently is the CEO of Huntress Labs. 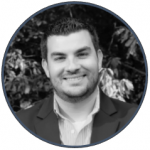 He previously co-founded the defense consulting firm StrategicIO and actively participates in the ethical hacking community as a Black Hat conference trainer, STEM mentor, and Def Con CTF champion. Additionally, he serves in the Maryland Air National Guard as a Cyber Warfare Operator. With his strong background in technical leadership, software development, and malware analysis, Mr. Hanslovan seeks to significantly raise the bar for malicious actors to successfully conduct cyber attacks.